This is a group of various tests that record the heart rhythm over a period of time. Depending on the suspected heart rhythm abnormality, heart rhythm monitoring can be undertaken as a continuous or intermittent recordings. The period of monitoring usually lasts from 24 hours to 2 weeks. 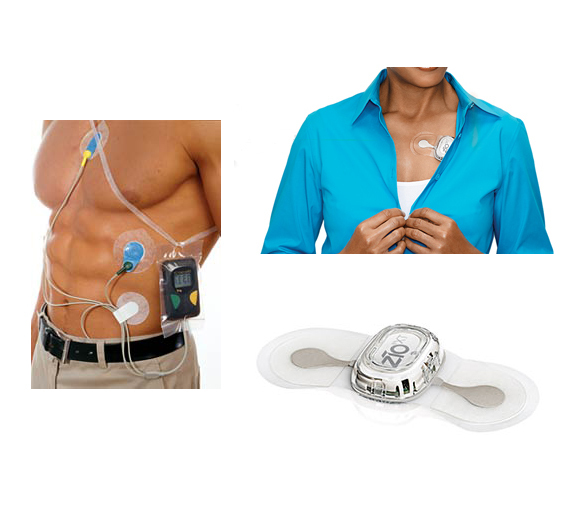 For continuous heart rhythm monitoring, a few self adhesive electrodes are attached to the skin and the wires are connected to a small box about the size of a portable music player. The patient then goes home and continues with the normal daily activities whilst the monitor records a continuous ECG. During the recording period the patient has the possibility of pushing a button on the device that will mark the time on the recording when the button was activated. This is done to make note of the time that any particular symptoms were experienced. Additionally a description of the symptoms can be written in a diary. Once the test period is completed the recording is analysed and any symptoms experienced and marked can be correlated with the recorded ECG and a diagnosis can be made. Intermittent heart rhythm monitors, sometimes called event recorders do not have to be attached continuously to the skin. Instead, the individual carries the small monitoring device in their pocket or bag. When the patient feels their symptoms, the monitor is held against the skin for up to 5 minutes while the monitor records the heart rhythm. With these types of monitors, only the period of time chosen by the patient is recorded. The type and duration of heart rhythm monitoring will be discussed with you during a consultation and the best option will be chosen to allow your symptoms to be correlated with the heart rhythm at that time.